U.S. Federal Route 25W runs north-south in Central Whitley County. It runs from The Laurel/Whitley County Line, near North Corbin, to the Kentucky/Tennessee State Line, near Jellico, Tennessee. U.S. Rt. 25W passes through the following highways in Whitley County. U.S. Rt. 25W is multi-plexed in Whitley County. Kentucky State Route 312, at Corbin. 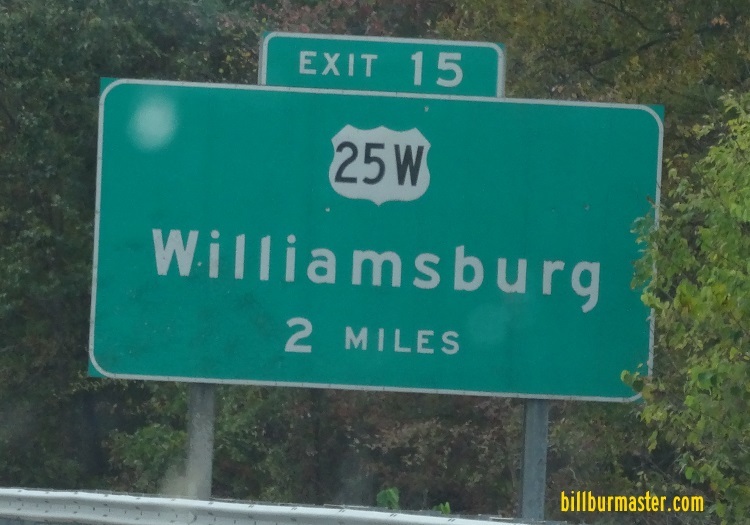 Kentucky State Route 296, at Williamsburg. Kentucky State Route 92, at Williamsburg. U.S. Rt. 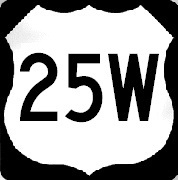 25W intersects the following highways in Whitley County. Kentucky State Route 727, at Corbin. 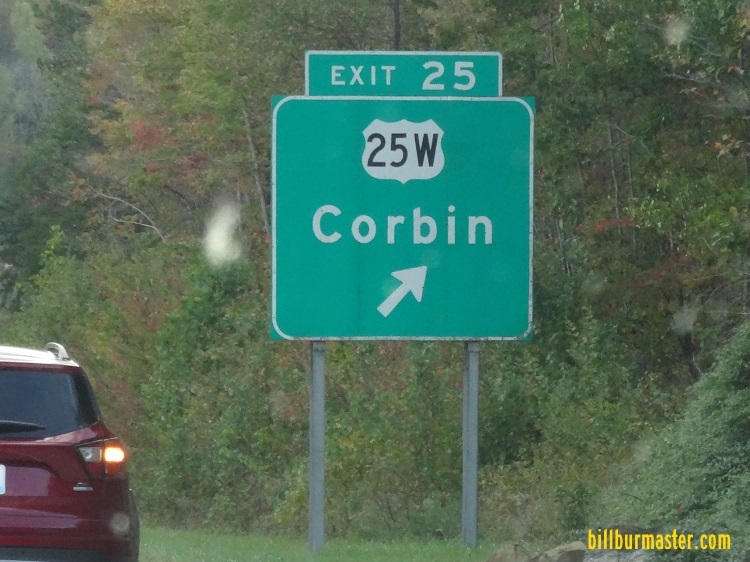 Kentucky State Route 26, at Corbin. Kentucky Secondary State Route 1259, at Corbin. Kentucky Secondary State Route 3041, at Corbin. Kentucky State Route 727, near Corbin. Kentucky Secondary State Route 1193, near Corbin. Kentucky State Route 90, near Goldbug. SPUR Kentucky State Route 90, near Goldbug. Kentucky State Route 204, near Goldbug. Kentucky State Route 837, near Goldbug. Kentucky State Route 26, near Wofford. Kentucky State Route 858, near Williamsburg. Kentucky State Route 858, at Williamsburg. Kentucky State Route 628 at Williamsburg. Kentucky Secondary State Route 1804, near Saxton. Kentucky Secondary State Route 2996, near Saxton.